LARGE CANDLES . . . . . 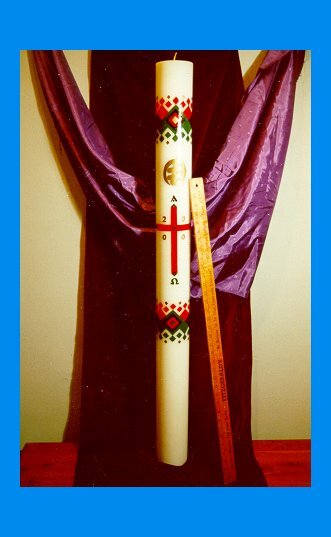 This Easter Candle is 4 feet tall, and was comissioned by St. Ambrose Church in Chicago.